PT Graha Sarana Duta - GSD or more popularly called as "Telkom Property" is a member of PT Telekomunikasi Indonesia Tbk (Telkom Group) that is involved in integrated property development. Telkom Property has diverse category portfolio; Project Management, Property Facilities, Property Lease, and Property Development and Investment. Its business include office leasing and building management, maintenance service, civil consultant, and property developer. According to Telkom Group Annual Report 2015 as cited by JobsCDC.com, PT Telekomunikasi Indonesia Tbk owns a 99.99 percent stake in Telkom Property. 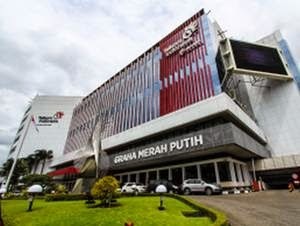 PT Graha Sarana Duta started its commercial operations in 1981. In 2001, Telkom Group acquired all shares in PT Graha Sarana Duta. Based in Jakarta, Telkom Property manages buildings owned by Telkom Groups and also third parties in all over Indonesia. Telkom Property now has 46 building managements spread in 4 area offices nationwide. Its head office is registered at Jl Kebon Sirih No 10 - 12 Jakarta Pusat 10110. The Company also supported by 2 directly-owned subsidiary companies, namely PT Telkom Landmark Tower and PT Graha Yasa Selaras. Graduated from S1 in any field (preferably familiar with property industry). Holds around 2 years of experience in the related field. Male with the maximum age of 25 years old, smart, hard workers, able to work with minimum supervision, mature, independent, disciplined, honest, industrious, neat, clean, communicative. Computer literate, minimum Microsoft Office (Excel, Power Point) and database applications. Willing to work in shifting system and/or work over time. JobsCDC.com now available on android device. Download now on Google Play here. Please be aware of recruitment fraud. The entire stage of this selection process is free of charge. PT Graha Sarana Duta - Personal Assistant Telkom Property Telkom Group April 2017 will never ask for fees or upfront payments for any purposes during the recruitment process such as transportation and accommodation.